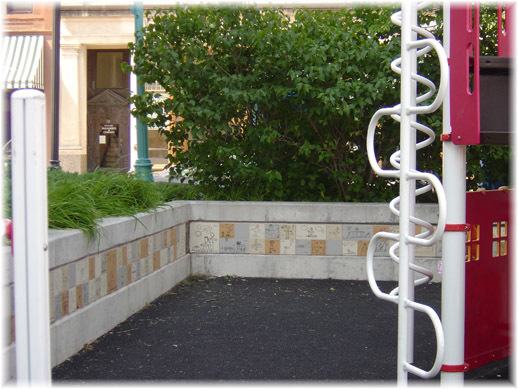 While I was taking pictures the other weekend at Town Square, I noticed that the walls are lined with tiles of children's drawings, so of course I took a few pictures to share. I had to know more about the tiles, so I searched online (of course!). 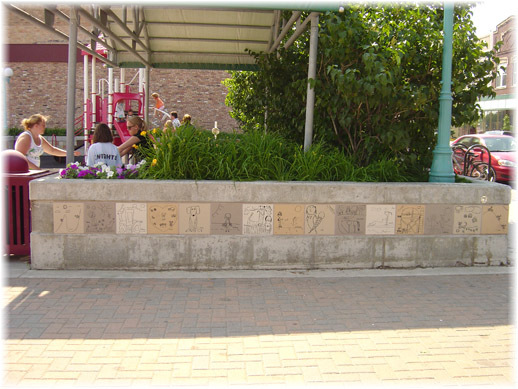 I was delighted to find that all the tiles are based on art work of children right here in Grand Forks. 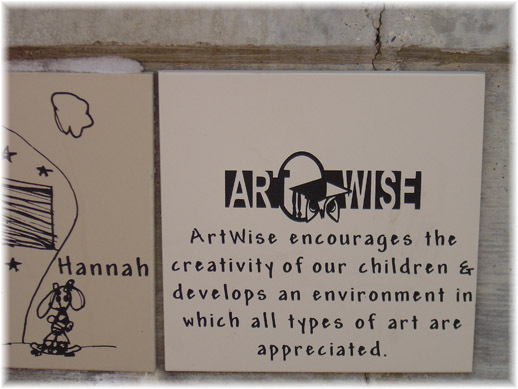 ArtWise is an initiative in Grand Forks designed to promote art awareness among adults and art appreciation among children. 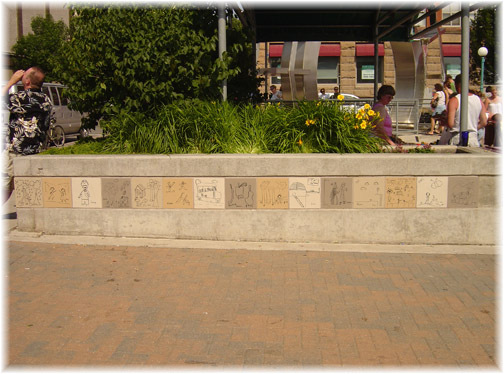 It includes not only these tiles, but also art work displayed in various locations and businesses around Grand Forks. You can read more about it at the ArtWise website, and see more of the artwork. 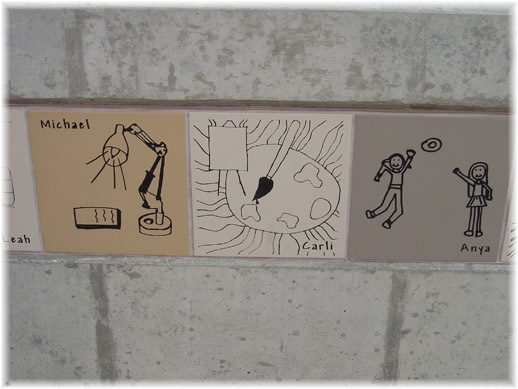 These tiles are awesome - art is so important to children's creativity. I hope these are a reminder of that to everyone who sees them.